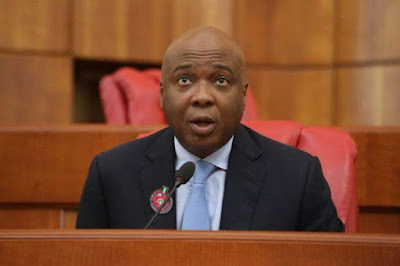 I can no see why Bukola Saraki net worth was said to run into millions of dollars.His ongoing CTT trial has taken a new turn with more charges added on for the Nigerian senate president. The Federal government has amended and increased the charges leveled against him before the Code of Conduct Tribunal CCT. At the resumed hearing of the case today, counsel to the senate president, Kanu Agabi, notified the tribunal that his client has just received fresh charges added to the existing ones and that his client will want to enter plea for the fresh charges. Saraki is being tried at the tribunal on allegations of false declaration of assets during his tenure as Kwara state governor. After we discovered that there were some discrepancies, we commenced further investigations into the matter. One of the discrepancies we discovered had to do with false declaration and none declaration of some assets and some liabilities”. “My lord what I see here is No17a and 17b Mc Donald Street Ikoyi which the defendant acquired with a bank loan in 2006. No 15a and 15b Mc Donald Ikoyi which he also acquired in 2006 was not included in the assets he declared”. As at September 2003 Bukola Saraki put his net worth at over N4 billion, $22 million, £12 million and 2.6 Euros in cash, movable and landed assets.